ADDIS ABABA (HAN) November 21.2016. Public Diplomacy & Regional Security News. By Aaron Maasho. 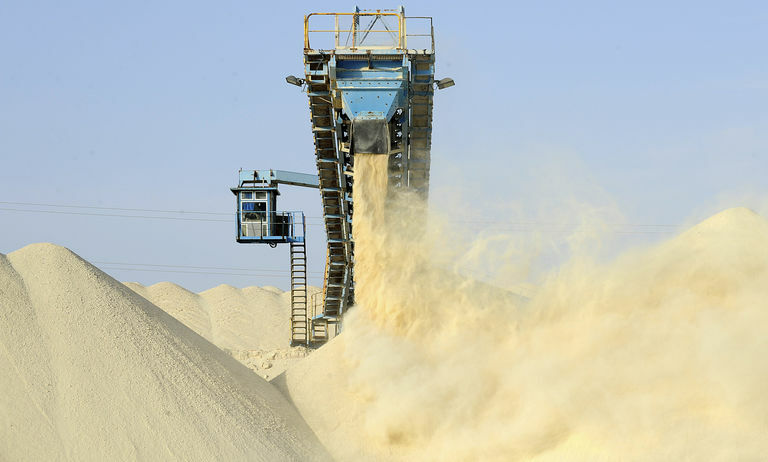 Morocco’s Office Cherifien des Phosphates (OCP), the world’s largest phosphate exporter, signed a deal with Ethiopia on Saturday to build a $3.7 billion plant to produce fertilisers. The North African country’s firms, including banks and insurers, have invested heavily in Sub-Saharan Africa in the past few years. Last month, OCP signed an agreement with Rwanda to build a blending unit. The agreement signed with state-run Ethiopian firm Chemical Industries Corporation (CIC) will enable the construction of a new plant in the town of Dire Dawa in eastern Ethiopia. The project is expected to produce 2.5 million tonnes of fertiliser in its first phase by 2022, and a second phase would see a further $1.3 billion invested to increase production to 3.8 million tonnes three years later. 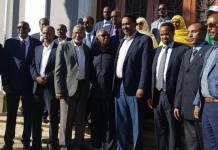 “Its funding will first be from equity and the second part through debt,” the firm’s representative in Ethiopia Faycal Benamer told Reuters. Faycal did not give a date when the plant construction will start, and said they were about to complete its designs. Ethiopia at present imports around 900,000 tonnes of fertiliser each year. OCP will ship its own phosphoric acid to the plant, while potash will be transported from large reserves in the Horn of Africa country’s northeast, he said. OCP, a major earner of foreign currency for Morocco, reported a 23.2 percent fall in first-half net profit to 3.07 billion dirhams ($317 million) due to low prices in the international markets. It has invested heavily and made a series of acquisitions to improve its infrastructure and boost its output. It aims to raise output to 47 million tonnes of crude phosphate rock in 2017, from around 34 million tonnes in 2013. It is also targeting an increase in fertiliser production to 12 million tonnes by 2017 from 7 million in 2014, which would make it the world’s leading producer. (EBC April 26, 2016) – Office Chérifien des Phosphates (OCP) Group, a global leader in the phosphate industry, has revealed interest to build a fertilizer plant in Ethiopia during talks with Prime Minister Hailemariam Desalegn in Addis Ababa. Hailemariam received Dr. Mostafa Terrab, Chairman and CEO of OCP Group at his office on Monday where the two sides had fruitful discussions, according to Dr. Alemu Semie, State Minister of Industry, who attended the discussion. The high level talks were mainly focused on supplying fertilizer to the Ethiopian market with a reasonable price, which will also see the OCP Group build a fertilizer factory in Ethiopia. It was indicated that OCP will supply fertilizer products compatible with Ethiopian soil. The two sides also exchanged ideas on ways of building agro-processing factory in Ethiopia that will help export processed agricultural products to the international market. From the Ethiopian side, efforts are underway to ease bureaucratic hurdles of doing business in the country. Previous articleMission Accomplished, Why is Denmark is pulling out of Somali Waters?